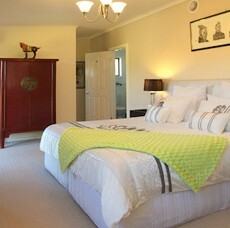 Situated in Fingal, a tranquil and green wedge protected part of the Mornington Peninsula, Harmony Bed & Breakfast is a traditional B&B set within five acres of rural garden. 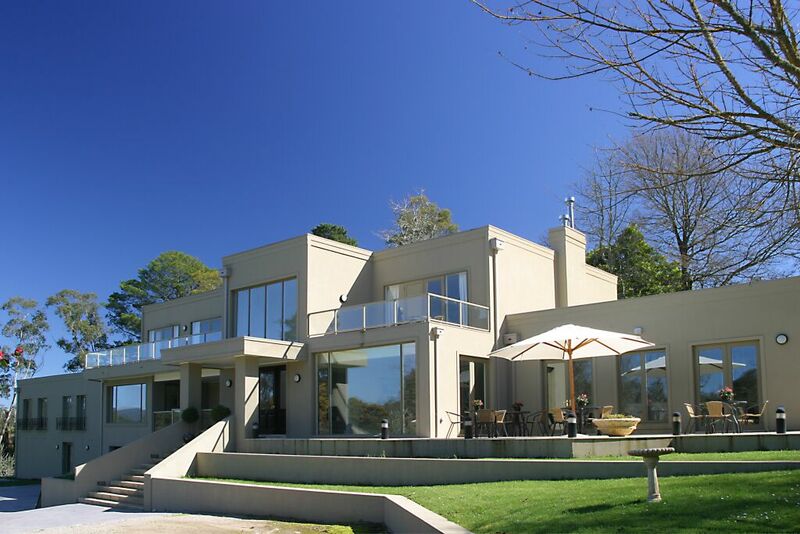 Harmony is the perfect choice for those wishing to escape to the country and enjoy the bayside and ocean beaches, golf courses, wineries and shopping of the magnificent Mornington Peninsula. The beautiful and historic Sorrento, Portsea, Arthur’s Seat and Redhill plus the bay, and ocean surfing beaches are just a short ride away. Explore the surrounding beaches, galleries, wineries, horse riding, wetlands and of course the many renowned golf courses, including Moonah Links which backs onto Harmony B & B. Relax, refresh and unwind sitting on your private patio sipping a glass of local wine, reading one of the many books available from the guest library area, or recline in front of the gas fire watching the big screen TV in the guest lounge. 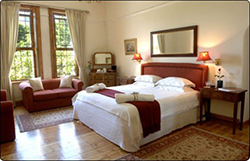 Each luxurious guest bedroom has an en-suite bathroom, air conditioning/ heating, TV/ DVD and private patio area. Guests enjoy a delicious full English breakfast which can be served indoors in the dining area or alfresco on the large deck. Tea and coffee making facilities, microwave and bar fridge are provided in the guest dining area.